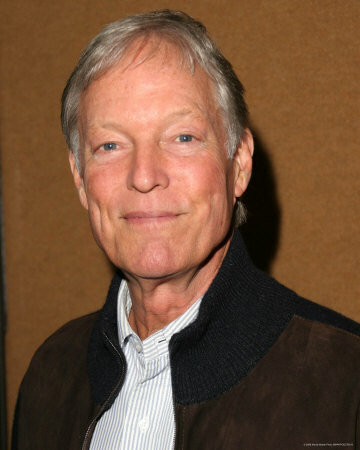 George Richard Chamberlain is an American actor of stage and screen who became a teen idol in the title role of the television show Dr. Kildare (1961–1966). Chamberlain was born in 1934 in Beverly Hills, California, the son of Elsa W. (née Matthews) and Charles Chamberlain, who was a salesman. Chamberlain's father was well known within Alcoholics Anonymous, having traveled for years speaking at A.A. conventions. In 1952, Richard Chamberlain graduated from Beverly Hills High School and later attended Pomona College . Chamberlain co-founded a Los Angeles-based theatre group, Company of Angels, and began appearing in TV series in the 1950s. In 1961 he gained widespread fame as the young intern, Dr. Kildare, in the MGM television series of the same name. His singing ability also led to some hit singles in the early 1960s. One of them was the "Theme from Dr. Kildare" entitled "Three Stars Will Shine Tonight", which hit number 10 according to the Billboard Hot 100 Charts. Dr. Kildare ended in 1966, after which Chamberlain began performing on the theatre circuit. In 1966, he was cast opposite Mary Tyler Moore in the ill-fated Broadway musical Breakfast at Tiffany's, co-starring Priscilla Lopez, which, after an out-of-town tryout period, closed after only four previews. Decades later he returned to Broadway in revivals of My Fair Lady and The Sound of Music. In 1968 he went to England where he played in repertory theatre and in the BBC's Portrait of a Lady adaptation, becoming recognized as a serious actor. In 1969 he starred opposite Katharine Hepburn in the film The Madwoman of Chaillot. While in England he took vocal coaching and in 1969 performed the title role of Hamlet with the Birmingham Repertory Theatre, becoming the first American to play the role there since John Barrymore in 1929. He received excellent notices and reprised the role for television, for The Hallmark Hall of Fame, in 1970. In the 1970s, Chamberlain enjoyed success as a leading man in films such as The Towering Inferno , The Last Wave, The Three Musketeers and two sequels, The Count of Monte Cristo, The Music Lovers, The Lady's Not for Burning, and Lady Caroline Lamb . In The Slipper and the Rose, a musical version of the Cinderella story, co-starring Gemma Craven, he displayed his vocal talents. Chamberlain later appeared in several popular television miniseries (earning him a nickname of "King of the Miniseries"), including Centennial, William Bast's The Man in the Iron Mask, Shōgun, and The Thorn Birds playing Father Ralph de Bricassart opposite Rachel Ward. In the late 1980s he appeared as leading man with King Solomon's Mines opposite newcomer Sharon Stone, and also played Jason Bourne in the 1988 version of The Bourne Identity. Chamberlain was romantically involved with television actor Wesley Eure in the early 1970s. He resided in Hawaii with his partner, actor-writer-producer Martin Rabbett, from the mid-1970s to 2010. Rabbett and Chamberlain starred together in Allan Quatermain and the Lost City of Gold, in which they played brothers Allan and Robeson Quatermain. Chamberlain was outed by the French women's magazine Nous Deux in December 1989 at the age of 55, but it was not until 2003 that he officially came out in his autobiography, Shattered Love . In the spring of 2010 Chamberlain moved from Maui to Los Angeles because of work possibilities, leaving Rabbett in Hawaii, at least temporarily. Whole or part of the information contained in this card come from the Wikipedia article "Richard Chamberlain", licensed under CC-BY-SA full list of contributors here.